I liked the whole process. Brad used to keep sending me pictures to keep me up to date which was extremely nice. I always knew exactly what is going on. It is a really good place. The customer service is awesome. They keep the customers updated. They are the best in the San Jose area. They will do anything to make things right with your car. They are excellent to deal with. 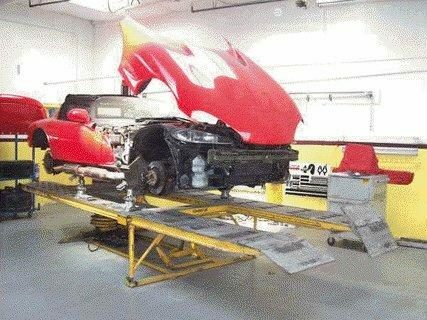 The way that they repair the cars is impeccable. They are perfectionists. 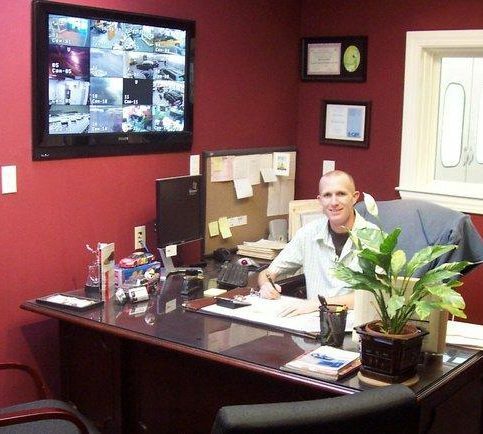 They are the most honest, accommodating, perfect, and awesome auto body place. I got in a hit and run and my daughter got in an accident. They made it alright. They make something that could be extremely irritating a pleasant experience. They made it right and they took good care of us. 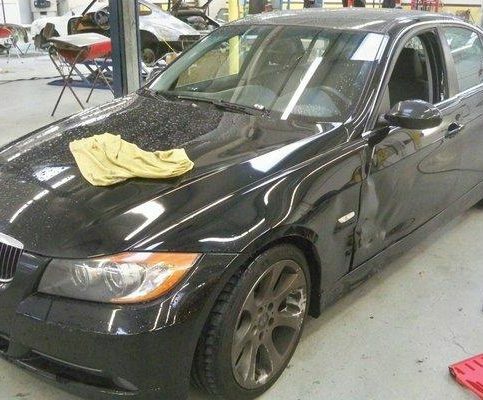 B2 Perfection Auto Body provides a wide range of body and collision repair services for all types of vehicles at its Sunnyvale facility, including alignment and suspension repairs, frame straightening, painting and detailing, and more. 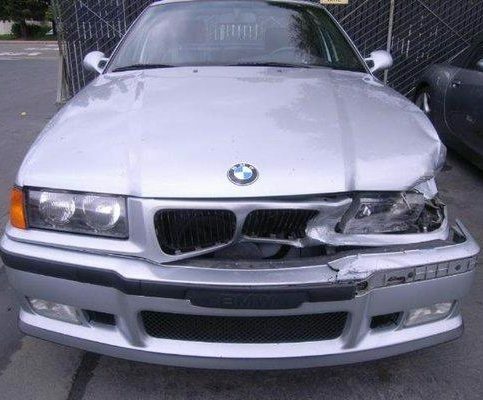 For the convenience of its clients, the company works with all major insurance companies, provides 24-hour onsite towing, offers local customer pick-up and delivery, and backs all its work with a lifetime warranty. B2 Perfection Auto Body repaired this vehicle. 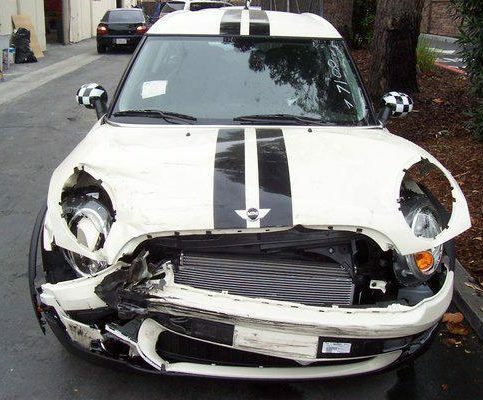 B2 Perfection Auto Body has been providing body and collision repair services for all types of vehicles at its Sunnyvale facility since 2005. 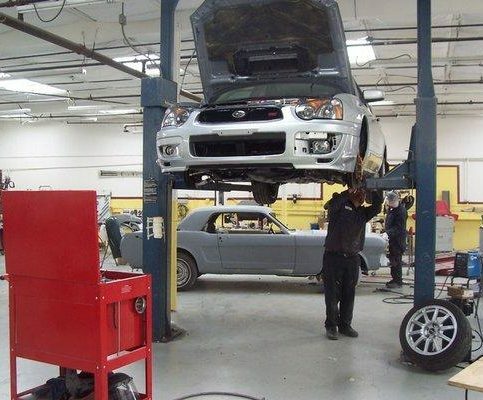 In addition to handling alignment and suspension repairs, frame straightening, and painting and detailing, the company works with all major insurance companies, provides 24-hour onsite towing, offers local customer pick-up and delivery, and more. Don’t treat washing your car like washing the dishes. Though dish detergent and cotton towels are commonly used to wash and dry vehicles, both are detrimental to clear coats. The chemicals in dish soap can remove a car’s wax coat, strip the exterior finish and dull the paint job. Hard cotton towels can leave fine scratches on a car’s exterior that can cause a “spider webbing” effect. Instead, use soap that’s specifically designed for car washing and dry with a chamois leather cloth or microfiber towel. When washing your car, avoid dropping the cloth or sponge on the ground, as it can pick up small debris like rocks, which can scratch the clear coat when the towel is reapplied. Also, wash your car in the shade if possible—the sun invariably causes water-spotting. Avoid using heavy chemicals on your car’s exterior. Though heavy-duty chemical products like acetones, lacquer thinners, and bug and tar removers usually won’t cause any harm to stock manufacturer paint, they can potentially be detrimental to the exterior of a car that has been repainted. Often, the second or third owner of a car doesn’t realize that it’s been repainted, and if the repainting job was done with low-quality paint, chemical products can cause major damage. If you decide to use a chemical product, test it first by applying a small amount to a hidden area on your car’s exterior. If there’s no negative impact on the paint after testing it, it’s probably fine to apply to the rest of the car. Remove sap and bird feces before they harden. Tree sap and bird feces are both extremely acidic and can easily damage your car’s paint job, so it’s best to immediately wipe these off before they dry and harden. If you find sap or bird feces that has already dried on your car, take care of it as soon as possible—the longer it sits, the worse the damage will be. 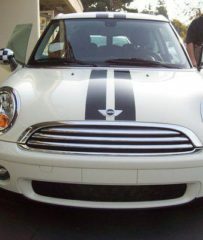 Common nail polish or alcohol should easily remove the stain, but you can also try acetone or lacquer thinner if you test it first on a hidden area of the car’s exterior. Q: How far in advance do I need to schedule my appointment? A: We like to schedule appointments at least one week in advance so we can ensure everything is ready before our customers bring in their cars. There are a lot of things that have to be done, like ordering parts and getting insurance approval, so taking care of them ahead of time allows us to immediately start working once you drop off your car. Q: How long will it take to repair my car? A: It depends on the work, but we always consider our customers’ needs. For example, if you don’t have a rental car or if you’re going out of town soon, we’ll put more of a rush on your job. We do our best to accommodate each customer’s schedule to minimize any inconvenience and return their car in a timely manner. Q: Does you provide a drop-off service? A: Yes, we offer pick-ups and drop-offs to customers within a 10-mile radius of our shop. Occasionally, we’ll make an exception and go further, but we like to keep it within a certain area. Q: What’s your billing process? A: We deal directly with your insurance company, and if there’s a third party involved, we’ll obtain a signed liability release so there are no problems when you pick up the car. We eliminate the ‘what if’ factor of a third-party payment. Q: Do you perform routine maintenance work? A: No, we don’t do maintenance work like oil changes and brake jobs. 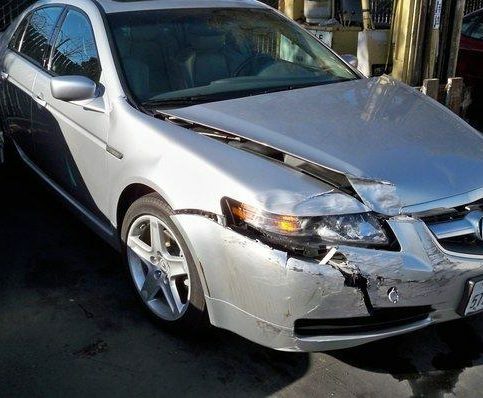 We’re strictly a body and collision repair shop. 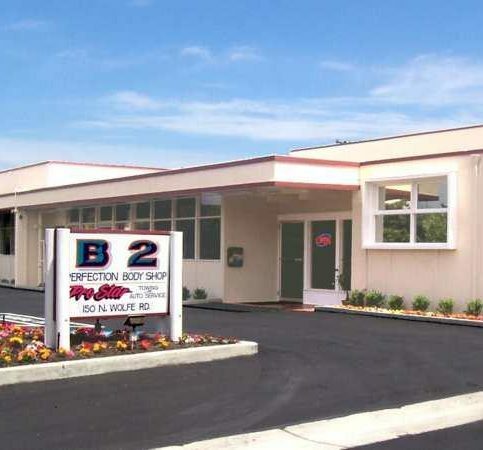 B2 Perfection Auto Body is conveniently located near the corner of Kifer Road and N. Wolfe Road in Sunnyvale. One of B2 Perfection Auto Body’s technicians uses a lift to work on a customer’s car. B2 Perfection Auto Body uses the most modern equipment available. B2 Perfection Auto Body takes on all types of jobs. Manager Blake Volgenau is ready to help customers. Tristin Wurzbach is general manager of B2 Perfection Auto Body, a Diamond Certified company since 2011. He can be reached at (408) 800-1693 or by email. A: “Ip Man.” It’s based on the life of the martial arts master who trained Bruce Lee. SUNNYVALE — An often-overlooked cause of auto paint damage is natural elements like bird droppings and tree sap. If not cleaned off promptly, these corrosive elements can leave permanent marks, especially during summer, when high temperatures can cause them to bake onto your car’s exterior. Since the only way to fix such damage is to repaint your entire car, it’s important to keep an eye out for these elements and remove them as soon as possible. 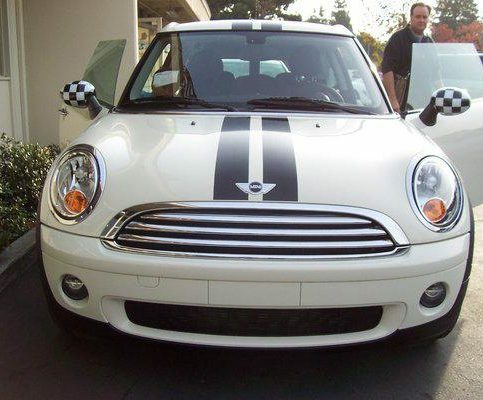 A good cleaning agent for this job is bug and tar remover, which provides a reasonable degree of cleaning power without harming your car’s finish in the process (as other, more abrasive products can). Once the elements are removed, apply some Turtle Wax to the affected area, which will provide an added measure of protection against re-contamination. In addition to this “spot-cleaning” technique, it’s a good idea to apply a high-quality wax to your car’s finish at least twice a year. By filling the paint’s pores and protecting it against damage, a coat of wax will go a long way toward preserving the look and integrity of your car’s exterior. 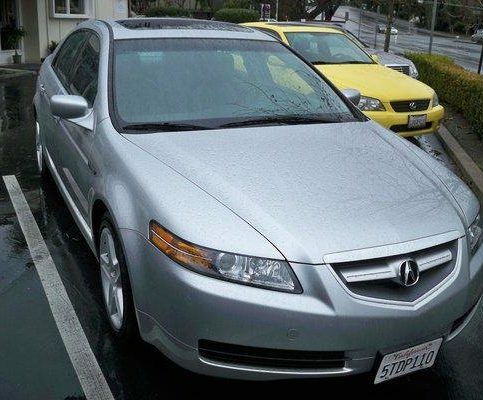 SUNNYVALE — Host, Sarah Rutan: To avoid permanent damage to your vehicle’s paint, you’ll need to be proactive about cleaning off elements like tree sap and bird droppings. Today we’re in Sunnyvale with Diamond Certified Expert Contributor Tristin Wurzbach of B2 Perfection Auto Body to learn more. Diamond Certified Expert Contributor, Tristin Wurzbach: The biggest tip I have – it happens every day; it has nothing to do with collision – is everyday wear and tear. So, specifically, it’s about bird poop and tree sap. 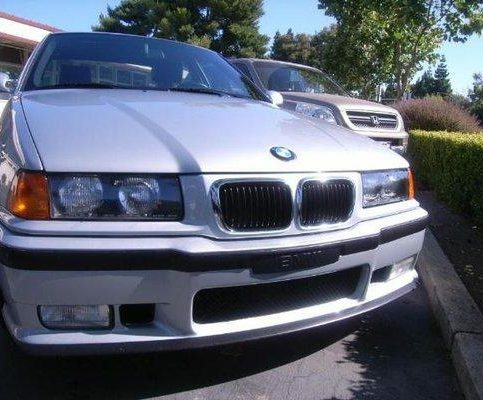 If you ever get that on your car – especially in the summer, how you have it bake it, in even just a few days – it will permanently stain the paint. The only way to fix it is that you have to repaint everything. So, if you ever get that on your car – unless you don’t care, of course – what I would do is I would purchase some bug and tar remover. Turtle Wax makes it at, like, your local Autozone and stuff like that, and it’ll get the tree sap and the bird poop off before it stains your car. And you only have, at most, a few days – I would try to get it off within the same day. So, yeah, I would recommend the bug and tar remover for stuff like that, because you don’t really know the consequences of having to repaint several panels until it’s too late. A very easy fix – ten bucks – and you can even use it later in case something like that ever happens again. Easy. B2 Perfection Auto Body : Average 9.1 out of 10 based on 222 unique customer surveys of customer satisfaction. They got the job done well. They got my car fixed nicely. In general, they have a very knowledgeable staff and I was able to get a ride home from the owner in his brand new Mercedes. It is the little things, they are friendly and they have snacks or candy available and someone is always at the desk. 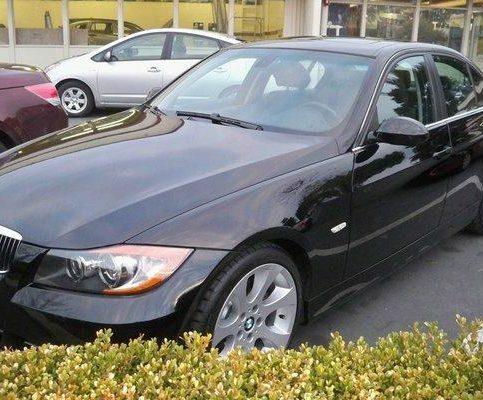 They are detailed in explaining what they plan to do with your vehicle. Everything they repaired was perfect and they even found things that I didn't find. They have good quality and they are very friendly. They were very professional and everything was taken care of. I didn't have to do anything. I told my sister about them and she took her car there. They can speak to you in Spanish if you want. They just helped me and they responded to my questions. They are very caring, they live up to their word, and they do what they can and they let you know ahead of time if something has changed. There are no surprises and they are very friendly and the service is wonderful. It was nice being able to drop my car off and have Enterprise pick me up and the service from them was outstanding and so easy and so quick and I love them. The body work and the paint work were outstanding. When I walked in there, I felt like I was family and they got everything done as fast as possible and they made it so convenient with having the rental and all of that. I love them. We have taken all of our cars there. They were recommended by Ludwid and Fasett, my insurance company. My Porsche got it and there were some rock chips and the guy said no problem and he showed me how I could touch up my car myself and he said a little is better than more and I remember that. Take a look at B2 before trying some place else. They are professional, timely, and they do a great job. I would refer them to a friend. Their work is perfection and the communication was very good. I felt like they really cared and they took into consideration everything I asked them to help me out with. I guess the perfection part of it as I am totally OCD. I would say that it is the staff. I want to give a shout out to Tristan, who I have been working with for the past two years. He helped me install a whale tail on the back of my car and it was a fun vanity project. I would say mainly the people, the location, and the price. 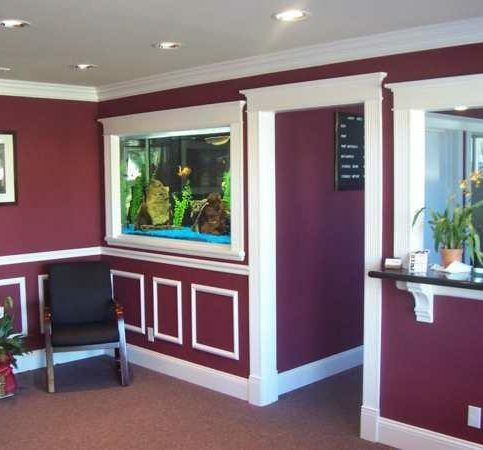 What sold me is that they have an aquarium inside the waiting room. 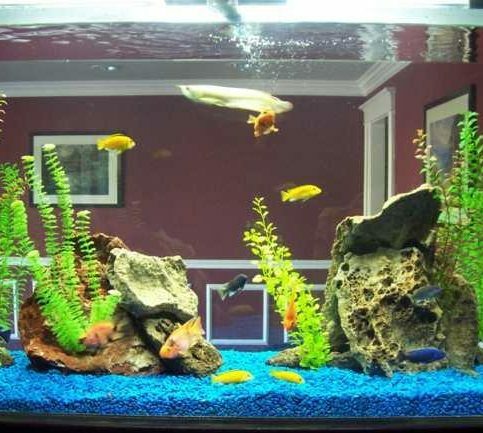 They are very professional, very quick, and the quality is good. I think, the turnaround time. They have been my auto body shop for over 10 years. They are efficient, professional, and their work is excellent. They are friendly and all over good. It is good, top quality work and there were no issues. It is convenient and they have a friendly staff and it is a good location for me. They are very professional and they do a great job. They were very efficient. When I needed a rental car, they took care of that as well. When I dropped off the rental car, they picked me up as well.